JHC have been advised by Parker Chomerics of the discontinuation of their Soft Shield 5000 series gaskets. JHC is pleased to announce recognition as the exclusive partner for HALA Thermal Interface Materials within Australasia. 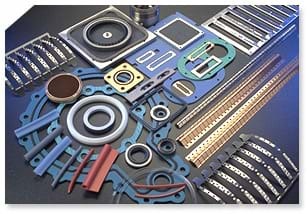 HALA offer an extensive range of thermal interface materials and a strong focus toward customer service. HALA’s capacity for design integration support and fast prototyping are a great fit for JHC and its local customer base. JHC look forward to developing new project opportunities with HALA to support our market. Using our background of over 25 years in display enhancement and other display bonding options Optical Filters has developedViz-Bond®, a wet bonding system that cures to a gel, to deliver a cost effective, scalable system in which the components are processed at ambient temperature without the use of vacuum, temperature, pressure and need for multiple tooling. Viz-Bond® cures within the wave length range of 390-500nm and can therefore cure through a polariser and materials containing UV inhibitors. The system can also cure behind edge masks up to a width of ≥20mm (3/4").